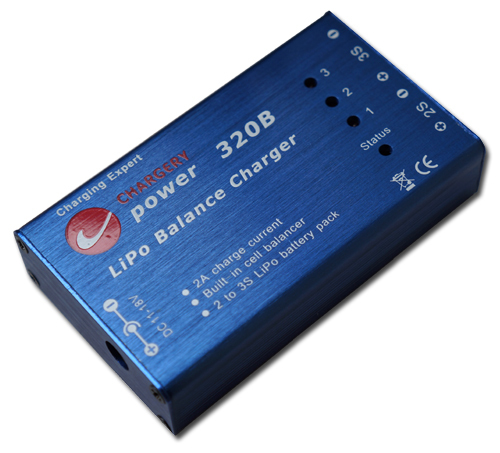 320B is updated to NEW version, the charge current of 1A and 2A is availabel, and LiPo, LiFe battery can be supported. 320B is micro-processor controlled charger with built-in cell balancer, it can charge the 2S or 3S LiPo or LiFe pack at 1A or 2A. 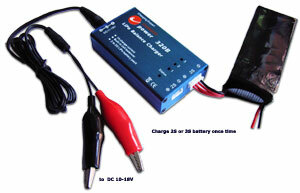 Connect to your auto battery or a 12 V power supply, The 320B charge your battery pack at 1A or 2A current. The 320B has all kinds of protection for reversed polarity( input or output), low input voltage. 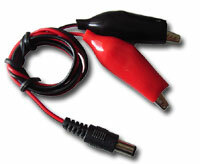 Output Power: 15W at 1A or 30W at 2A MAX. 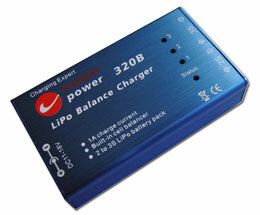 DUAL color LED: indicate charging status. 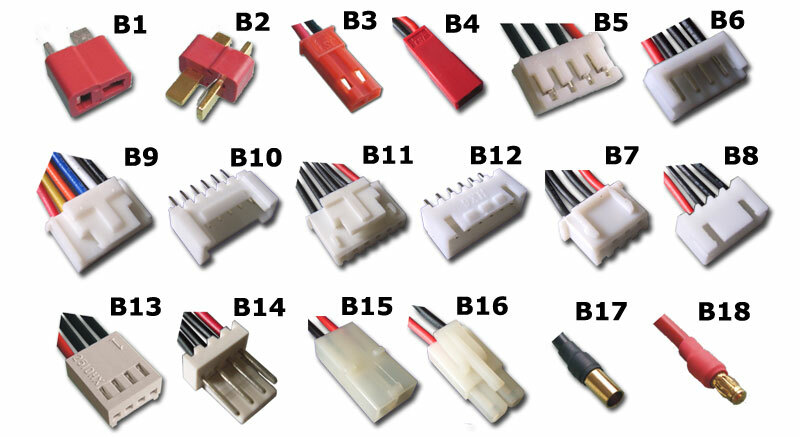 320B is fully committed to compliance with the European Union’s RoHS directive.